I’ve worked at a university Library for 8 years now and have just started to explore it. That’s pretty sad for someone who loves to read. 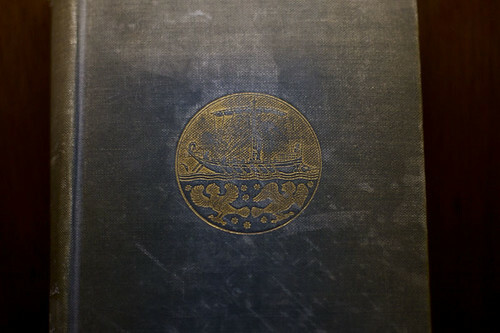 So I thought I’d start a blog where I search out the strange, rare, cool, interesting books that can be found in any of the campus libraries. 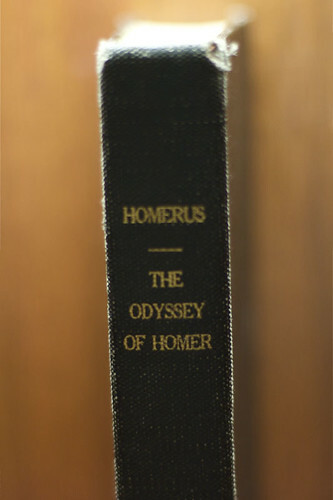 To start, I gathered up three different printings of The Odyssey, by Homer. 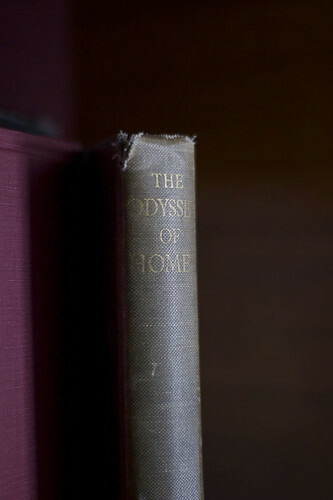 Book the first was published in 1932 by Oxford University Press (WorldCat) and of the three, it is the only book written in prose (the others use verse). It shows some wear in the cover and the binding but was still pretty manageable. Also this book had a nice drawing on the inside. 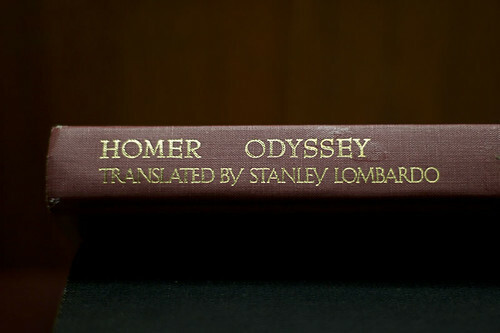 The second book was published in 1965 by Harper and Row. 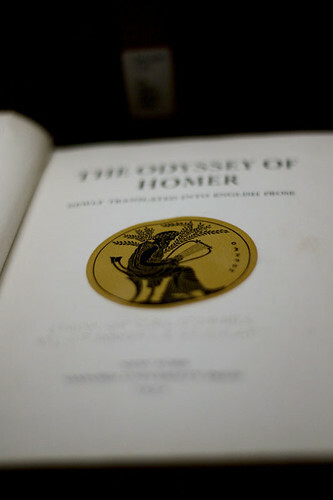 And the third copy of The Odyssey was published by Hackett Publishing in the year 2000 (WorldCat).